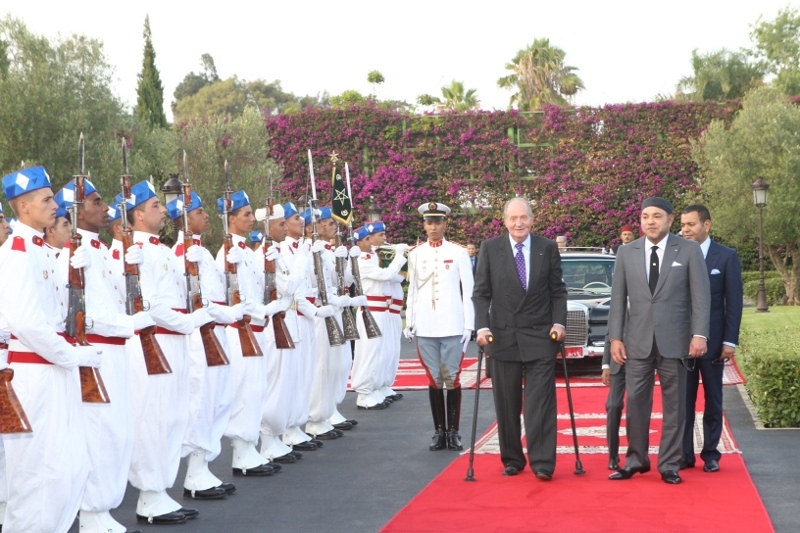 King Juan Carlos arrived in Morocco today for a work visit, including meetings with King Mohammed VI. 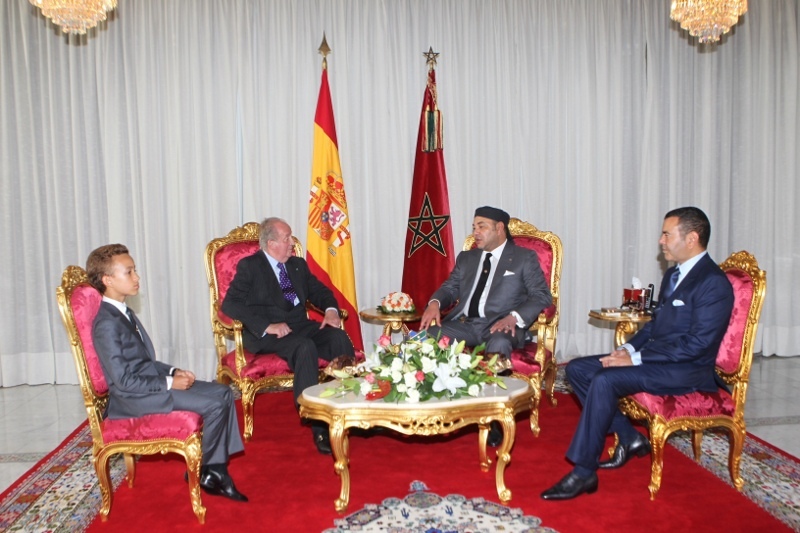 King Juan Carlos meets with members of the Moroccan Royal Family. Both monarchs have a relatively close relationship, even if both countries sometimes disagree over immigration issues and Spain’s North African enclaves of Melilla and Ceuta. In the mid 1970s Prince Juan Carlos, acting as Head of State near the death of dictator Francisco Franco, decided against fighting Moroccans over the territory now known as Western Sahara. His Majesty has been relatively busy in recent weeks. 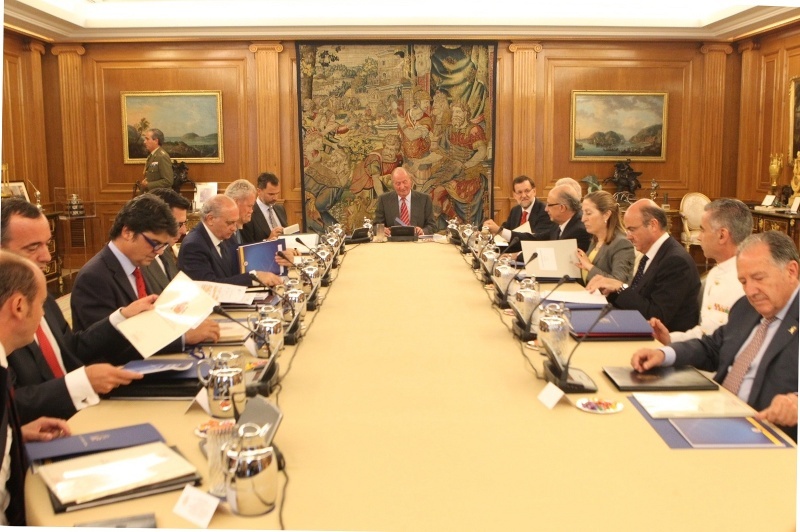 Last week he presided over a meeting of the newly-reformed National Security Council. 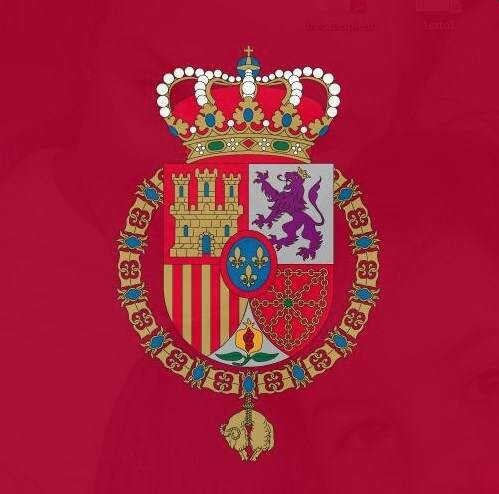 Queen Sofia, meanwhile, was in Asturias today for a tourism promotion trip. She also encountered protests from miners, upset about recent cuts in subsidies. Posted on July 16, 2013 July 16, 2013 by talkingwithamericansPosted in UncategorizedTagged King Juan Carlos, Mohammed VI, Morocco.